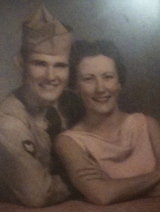 Nellie Marie Wolf Freeman, age 81, of Kingston went home to be with her master Thursday, November 8, 2012 at her home. She was born January 12, 1931 in Cleves/Cincinnati, Ohio. She married Bishop James V. Freeman April 14, 1951 and had been a dedicated pastor's wife for over 61 years. She was a member of Kingston Church of God, CGMA. She is preceded in death by her parents, Albert & Mary Emmaline Smith Wolf. SURVIVORS Husband of 61 years Bishop James V. Freeman of Kingston Daughter Patricia A. Rush of Kingston Son Rev. Byron J. Freeman & wife, Donna of Florida Grandchildren Rachel Downing Young of Kingston James B. Freeman of Florida Mandy K. Rush & Bryan "Austin" Rush of Kingston Great-grandson James Paul Young, III of Kingston Sister-in-law Shirley Surber of Jellico Several nieces, nephews, extended family and friends The family will receive friends 4:00 pm - 6:00 pm on Saturday, November 10, 2012 at Kingston Church of God with funeral service following at 6:00 pm with Bishop James V. Freeman, Rev. Byron J. Freeman and Rev. Donnie Hill officiating. Online register book can be signed at www.FrakerFuneralHome.net. Fraker Funeral Home of Kingston is in charge of all the arrangements.